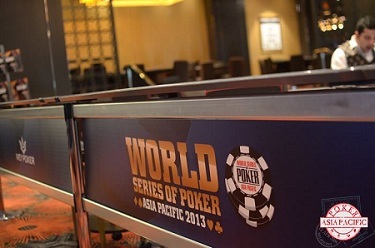 In 2013, the World Series of Poker came to Australia for the inaugural WSOP APAC. Over a 12 day period, five WSOP APAC Gold Bracelets were awarded to some of the finest poker players from around Australia, the Asia-Pacific and the world. It all began with a massive $1,100 Accumulator event, which would set the tone of things to come as one of poker's biggest superstars in Daniel Negreanu would win the WSOP APAC Main Event. 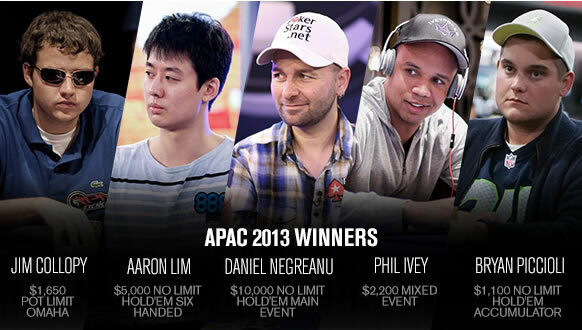 Check out all the latest 2013 WSOP APAC Results below and find out who won the first ever WSOP Gold Bracelets in Australia.